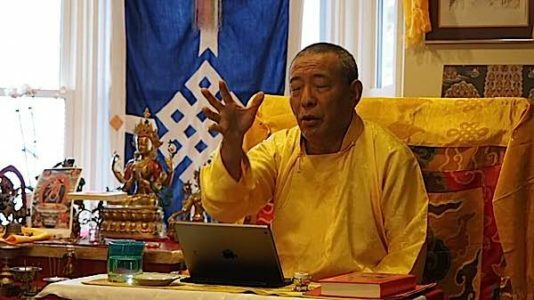 In the tenth in a Buddhist practice video series, “Advice from the Teachers”, the Venerable Acharya Zasep Tulku Rinpoche, Spiritual Head of Gaden for the West Centers, answers a student’s question on Yidam visualization. What advice do you have for students who have difficulties visualizing their Yidam to help them improve clarity and stabilization? Can you speak about how to pick a personal Yidam for your practice? Note: In Vajrayana advanced meditation, the student activates the mind’s enlightened qualities by visualizing him/herself to be an already Enlightened Buddha — tapping into their own Buddha Nature — by choosing one Yidam (heart bond deity) as a focus, based on their own propensities. 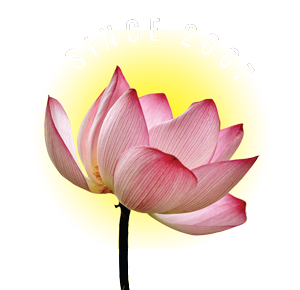 This method utilizes all three of Body, Mind and Speech in intense guided meditation. 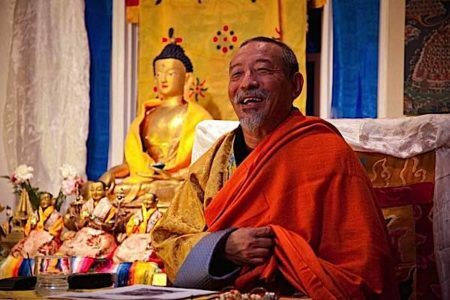 Rinpoche, in his answer emphasized the importance of devotion and passion for intensifying the visualization — “passion… without attachment.” He compared the feeling of joy to be achieved to that of a child in a toy store. He emphasized Atisha’s advice, it’s best to have practice mainly one Yidam, and then offered some guidance on how to choose a Yidam. 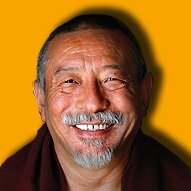 Note: For a schedule of Zasep Rinpoche’s teachings, see the end of this feature. “Breath slowly, and visualize step by step. So, you develop skill of visualization, this way. This isn’t easy to do, unless you have a good imagination, you have good skill of visualization, and/or you have done this kind of visualization before — then you could have a better experience. And, also, some people develop skill of visualization faster. You can develop your concentration faster. Some people feel, how can I do this visualization? My visualization is no good at all. I can’t see anything. My meditation is not good, concentration is not good, I don’t have clarity, I have no stable mind, my mind is all over the place and so on and so forth. I experience various obstacles: dullness of mind, sinking mind, wandering mind, etcetera. Zasep Rinpoche teaching on Yidams. That is true. Everybody has the same problems. Everyone has the same type of difficulties, struggling. But, this is practice. This is the path. This is how it is. Don’t blame yourself, don’t blame anybody, just keep practicing. This is how everybody has to learn. It helps achieve good visualizations faster… if you have strong faith, devotion and passion. You have to have a passion. Some people have this passion. Some people don’t have the passion, but can develop it. When I say passion, it doesn’t mean attachment. It’s more like devotion. Devotion, joy and excitement. You can call it passion. So, when you have that, it’s like a child, a little child, fantasizing about toys. You go to the toy shop, and all you think about are toys. Like a little boy with his toy truck. Automatically, boom, your mind is gone. Drawn in. Because you want this, you like this, you are so excited. Yogis, or Yoginis, should have this kind of excitement or passion. If you have that inspiration, that energy, then you can visualize — faster. That means your visualization skills will improve faster. Your concentration will improve. This is why you have to choose your Yidam. The word Yidam means ‘heart bond deity.’ So, you have to choose a Yidam that resonates with your heart or mind. Some people are so attracted to Yamantaka. Some people are so interested in Heruka. Some people are so much into Guyusamaya. Or, Kalachakra, Vajrayogini, Black Dakini and so forth. It’s you. It depends on you. It’s your mind. Your connection. Your karmic connection. Your devotion. Everybody’s a little different, so there’s no question of right or wrong, better or worse. It’s you. When you have the ‘heart-bond’ connection, then you choose your yidam. You don’t need so many Yidams. That’s why Atisha said ‘It’s better to practice one Yidam.’ If you practice properly one Yidam and you achieve that, then you achieve all of them together. Those of you have received initiations of five different Yidams, and you still don’t know which one is your main Yidam, you should figure out which one you feel more connected to at your heart level. 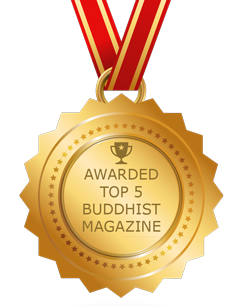 Don’t miss the other nine videos in the “Advice from the Teachers video series from Buddha Weekly, featuring advice from the most Venerable Zasep Tulku Rinpoche. 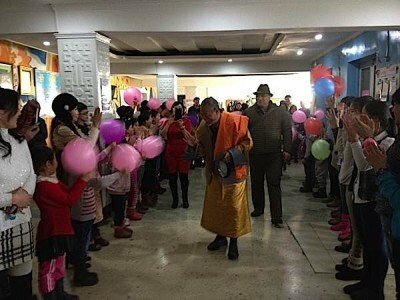 Venerable Zasep Rinpoche on a previous trip to Mongolia (2016). He is currently teaching in Mongolia 2017, then on to Zuru Ling, Vancouver BC (November 2017) and Gaden Choling Toronto (December 2017).